New York City Council members are joining a growing national movement to improve access to feminine products, and this Tuesday will introduce proposals for free tampons and pads in city public restrooms, homeless shelters and correctional facilities. In addition, Ms. Ferreras-Copeland, Councilman Ydanis Rodriguez and the Council speaker, Melissa Mark-Viverito, will also introduce a resolution calling on the state legislature to stop taxing sanitary products. The state does not tax groceries, prescription drugs or condoms, but it still taxes tampons and sanitary pads. 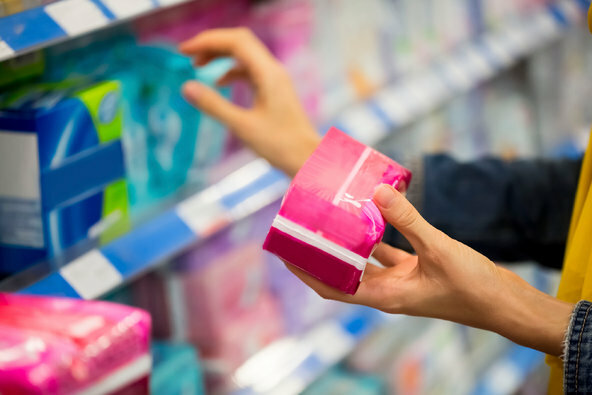 Earlier this month, the New York State Assembly passed a bill eliminating sales tax on tampons and pads, but the measure has yet to pass the Senate. The proposals by members of the New York City Council are the latest in a series of efforts around the country that activists call “menstrual equity” — a movement that calls for feminine products to be treated the same as toilet paper and other necessities that are typically not taxed or are offered free in public spaces. Chicago rescinded city taxes on sanitary products earlier this month, California lawmakers are pushing for an end to tampon taxes and Canada scrapped the taxes last year. Efforts to make sanitary products available free in public facilities are underway in Wisconsin and Ohio. Ms. Ferreras-Copeland said she can foresee potentially making free menstrual products available in the city’s public hospitals, parks and recreational centers, and at youth and community programs. A bill requiring the New York City Department of Correction to provide all female inmates with pads or tampons “immediately” upon their request, and at the facility’s expense, is meant to improve the current way of allocating sanitary products, which is done according to an arcane formula that allots 144 pads a week to every 50 inmates, council members said. That works out to about 12 pads per woman per cycle, which may not be sufficient, council members said. If a woman needs more than that, she must purchase them at her own expense at the commissary. The bill calls for eliminating the formula and providing either pads or tampons, immediately upon request. What all these programs may cost is not entirely clear. According to one estimate by the advocacy organization Free the Tampons, the annual cost of providing tampons and pads at restrooms in schools and businesses is less than $5 a year per woman or girl. A program announced just last week to install tampon and pad dispensers in 25 public middle and high schools in New York City is estimated to cost $160,000 for a year, including the cost of replenishing the supply of products, according to Ms. Ferreras-Copeland’s office. Earlier this year Representative Grace Meng, Democrat of New York, convinced federal officials who oversee the Federal Emergency Management Agency (FEMA) to allow its homeless assistance funds to cover feminine hygiene products, after she noticed the grants could not be used to purchase sanitary pads even though they cover other basic necessities items like toothpaste and diapers. Sanitary products will be added to the list of allowable purchases beginning in April. Ms. Meng has also introduced legislation that would allow employees to use flexible spending account funds to buy feminine hygiene products. Right now the monies can be used to cover certain medical items like prescription eyeglasses and bandages, but not sanitary pads or tampons.